For the last week or so, we have been working on a couple of things, firstly taking our battle system to near completion. Once again we have undergone a massive overhaul, changing the entire nature of the combat system, away from set in stone weaponry and towards a more open customisation system. Less arbitrary equipment differences – Equipment effectiveness is now primarily tied to the quality of your ship and the level of the crew that operates that weapon. 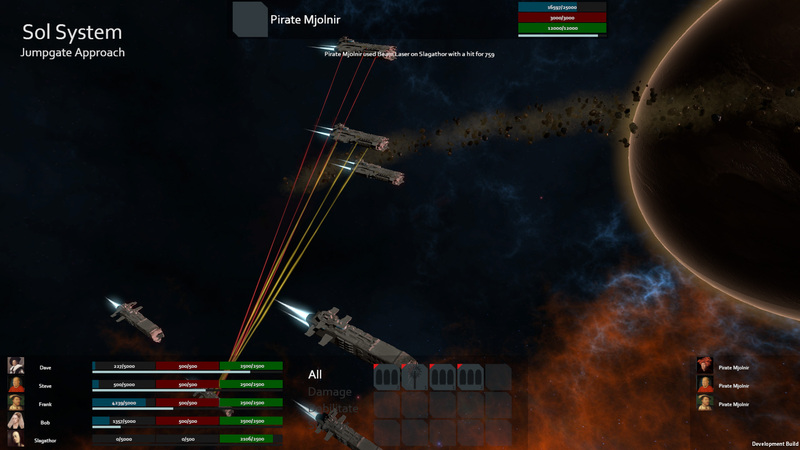 Status effects – while these where somewhat present in the previous system, they have become far more involved, the ability to disable, breach hulls, etc.. adds a great deal of tactical options. Customisation – By linking equipment together, you have the ability to change the nature of that equipment. For example equipping a Multi-targeter to an Autocannon allows you to engage multiple targets for slightly reduced individual damage. We will be posting a video later this week, showcasing some of these example changes and more! The galaxy map plays a big part in how you move around in the game, as the player can select different systems to jump to and trade at. Over the last week or so, we've spent time making this truly 'playable' - allowing the player to actually move their ship around from system to system. 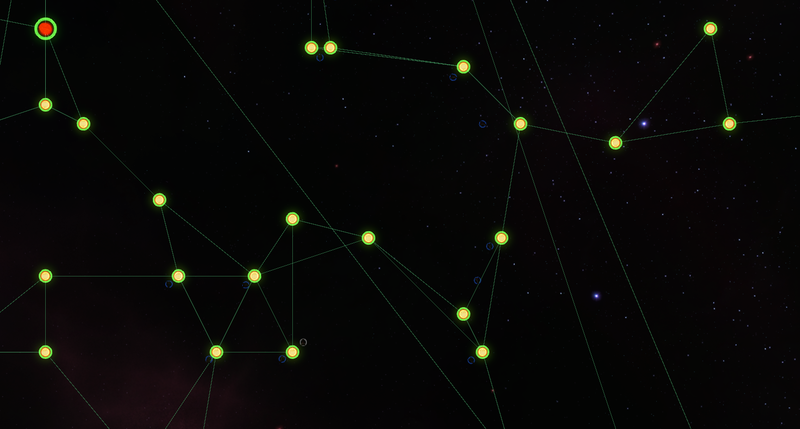 We are also adding more star types and real time npc's that also move around the galaxy with you. Whilst these won't represent all the npc's in the game at any one time, they can be used to show larger groups. For example, a large trade convey that you could intercept and attack or a roving band of pirates from which you should probably run away! Still a work in progress, our next area of focus is on updating the galaxy map UI and finishing the Empire / faction territory system - which will be visible to players by different coloured 'jump paths' and system identification tokens. In the screenshot attached, you can see a small part of the galaxy network - along with some npcs - marked with blue tokens and the player ship - marked in white.